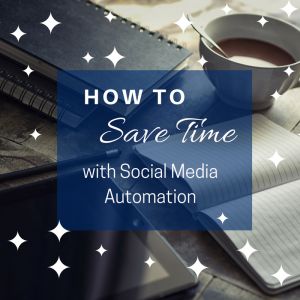 Do you spend too much time manually posting to your business Facebook and Twitter accounts? Are you looking for ways to save time with your small business marketing? If you’re marketing a product or service online automated tools can free up valuable time so that you can focus on other aspects of your business. In this article, you will discover three proven ways to automate your online marketing. My client, Verginia Donders – Owner of The Hair Extension Bar, is facing what many small business owners across the world now face. She must juggle time between running the daily activities of her business, marketing her business and having time left over to have a personal life. Sound familiar? With only so many hours in the day, does this mean that you can’t do it all? No!!!! This is where social media automation can help. There is a saying that goes, “work smarter, not harder.” Here that is exactly the case. Automating your tasks means that you gain time for things that you need to do and you also still get everything that you need to accomplished. Win-Win overall. What’s more, Verginia’s story is not unique. I have worked with numerous business owners who need the same thing; a better way to handle their online marketing efforts. So how did I help Verginia gain control of her online marketing? The same way you can gain control of yours. First, decide what you would like to accomplish through online marketing. Then, decide what platforms (Facebook, Instagram, Twitter, etc) that you need to be using. Finally, discover which tools will help you achieve your business goals while helping you free up time for other things in your busy schedule. Hootsuite is probably one of the best-known tools for social media management. With millions of users globally, it’s also one of the most widely used. This tool is simple to use and can free up hours of your time posting to your various business social media profiles. Hootsuite has a variety of plans to suit every price point and it’s a tool we here at GW Digital Marketing personally use and highly recommend. As any marketer knows, while it’s great to talk about yourself and your business it’s also wise to share information from other sources with your audience. That’s where Feedly comes in. Feedly is a platform that allows you to curate (and post) content from almost any source imaginable. You can follow keywords, RSS feeds, or particular publications and blogs. Feedly allows you to save posts to read later, create boards for any posts that you might want to come back to in the future, and you can also create teams to collaborate with. And if that’s not enough to persuade you, why not also set up keyword alerts on your competitors to stay up to date with when they appear in the news! If This Then That is a free, easy to use service that allows people to automate a large number of social media tasks. So how does it work and what can you do? As the name implies, this platform allows you to create conditional automated tasks. “If this” occurs then do this task. For example, say that you have a business Instagram account that you post to and you would like to cross-post to your Twitter page. You can set up a “recipe” that automatically posts your Instagram pictures to your Twitter page. If this (new post on Instagram) then that (automatically post to Twitter.) Simple, right? And the best part is, all of these recipes are already created for you. All that you need to do is link your social media accounts and pick your recipes. Voila! With so many platforms and apps out there, it can be hard to find one that is a good fit for your needs. If you’re struggling to streamline your marketing, it can help to have a consultation with a professional. GW Digital Marketing thrives on helping small business owners and we offer free consultations! Email Gessell@gwolitski.com and let us know what marketing problem your business is facing!